Susan Boehme was born and raised in Illinois. She and her family moved to West Michigan 28 years ago. 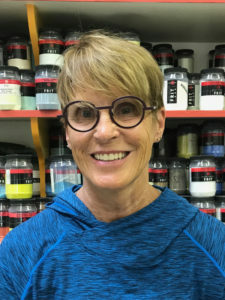 Susan received her BFA in Sculpture from Kendall College of Art and Design. 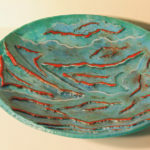 This artist creates sculptural work in wood, clay, and cast metals. 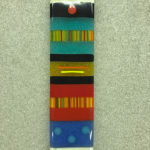 More recently, she discovered glass as a sculptural medium. She loves the technical demands of glass manipulating the transparency and opacity to create interesting surface movement. 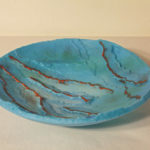 Susan’s glass bowls relate to water and what is below the water’s surface. You will see movement of color reminding you of a gorgeous lake that you have seen. 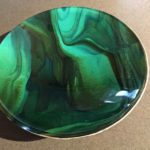 These are very special bowls that you will love for years.